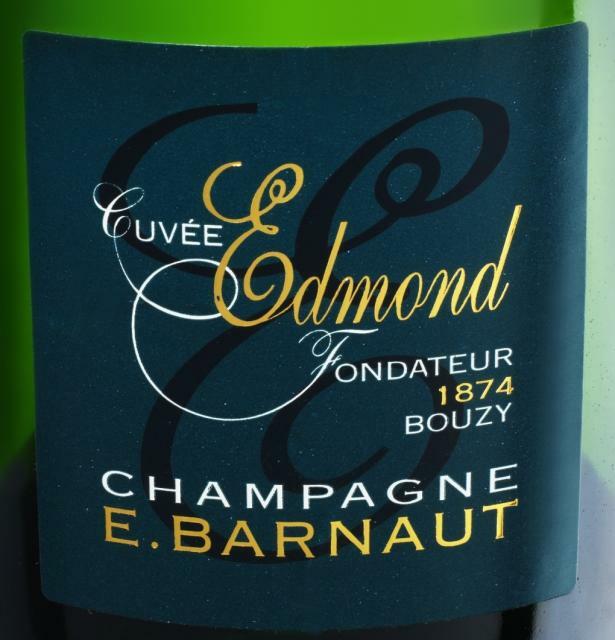 For the 125th anniversary of the family estate Philippe SECONDE wanted to develop a Special Cuvee, whose name and content are homage to the founder Edmond BARNAUT. 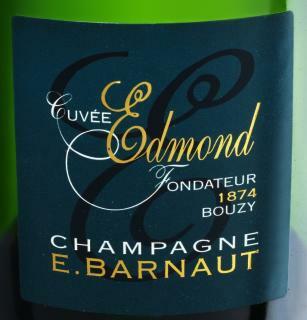 As the origin, the third grape of north Champagne comes into assembly. This Pinot Meunier comes from the area that best expresses : the Marne Valley. Meunier for its crisp fruit. Generally fairly mild winter, slightly more frequent frost but of low intensity and rainfall in excess. Spring with normal temperatures but frosts much more frequent than normal and excess rainfall. Very cool summer with a net decrease in the number of hot days and a deficit rainfall. Quiet harvest because lower crop. High heterogeneity of performance. Quality: after two days of disturbances, the degree and acidity stabilized and the average of the first days were exactly the average recorded in the final 9.9% vol for degrees, 8.5 g of acidity and pH 3.01. Perfect sanitary state, felt while tasting upon reception of the musts. On its slopes, vine grows on soils consist of fragments of millstones, pebbles and sand mixed with clays of decalcification of millstones, resulting of runoff. Silts of the plate cover by a fertile coat the tops of hills, and old alluvium formed of sand, gravel and chalk pebbles. The climate is generally that like the Paris Basin, with generally mild winters, spring uncertain, hot summers and cool autumns but usually quite beautiful. Picked by hand, with selective screening on the bunch. Around 3/4 Pinot Noir and 1/4 Chardonnay, the first chosen for its structure and its fruit and the second for its liveliness.Stock in vats and cellars: approximately 5 years. Dosage: 6 grams per litre of a solution specially developed to preserve the “sweetness/freshness” complex. Eye: lively dancing bubbles, sparkling dress with yellow-green hues. Nice effervescence, fine foam. High clarity. Strings of bubbles will dance to a steady pace. Nose: complexity and finesse are the characteristics of this elegant and delicate wine. Nose of white flowers and stone fruit. Palate: Fresh and subtle, recalling the flesh of pear and citrus soup. Reinforced by a well-balanced fruity minerality. Notes of gingerbread, brioche, croissant on a hint of vanilla. Beautiful smooth, velvety palate with notes of lemon, honey, almond, hazelnut and verbena. Beautiful freshness for a wine that will flourish over time.